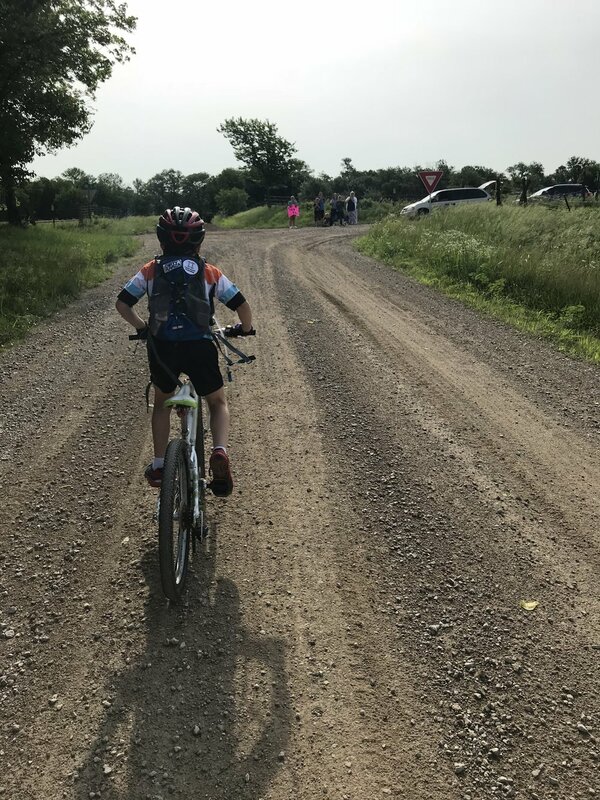 25 miles of Dirty Kanza at age 7? No problemo. This is true, and mostly for the reasons Aaron Gulley lays out: fewer cars and an attitude of adventure rather than competition. None of the assholery that turns up at road races is present at the majority of gravel races, unless you count a few people trying to change it for the worse. I guess gravel riding is "saving" a lot of things today. "Saving" is too strong a word for the effect of gravel races on small towns; a couple hundred riders one or two days a year is nice, but I doubt if it pays for that new school library. But no doubt I have traveled to and spent money in a dozen towns over the last few years I would have completely bypassed if not for gravel racing. I don't mean to pull any kind of hard work card, because people work hard in every imaginable job. But it's hard to overstate how precious your time is in med school. The volume of information is overwhelming, and even a good lecturer can't typically deliver the material in a time-efficient way. It's much easier just to look at other people's notes (as in note service in my day) or to watch the lecture via podcast or webcast at double speed later. And most professors just aren't good lecturers. Not even Nobel laureates. Maybe particularly not Nobel laureates; the skill set that makes a good investigator is far removed from the skill set of a good teacher. What's interesting here is that the move to pass-fail grading systems--which I completely agree with--has made performance on the national "step" exams that much more important. This, according to Orly Nadell Farber, is what is driving the further diminution of attendance at lectures. My response to this is for NBME to stop giving step scores to residency program directors. U.S. kids get an average of over 7 hours daily in front of screens, almost all of it because increased use of smartphones, tablets, and other devices. Not that anyone who has seen a kid in a grocery cart at the store lately needs to be told that. Why is this important? Because the more time you spend zonked out in front of a television, the more fat you tend to have (what we five-dollar-word types call "adiposity”). And adiposity means bad things later on, like heart disease and diabetes. So the American Heart Association is recommending--again--that children and teens to get no more than 1–2 hours of recreational screen time a day. They also warmed my heart by continuing to recommend against having screens, including phones, in bedrooms and while eating.